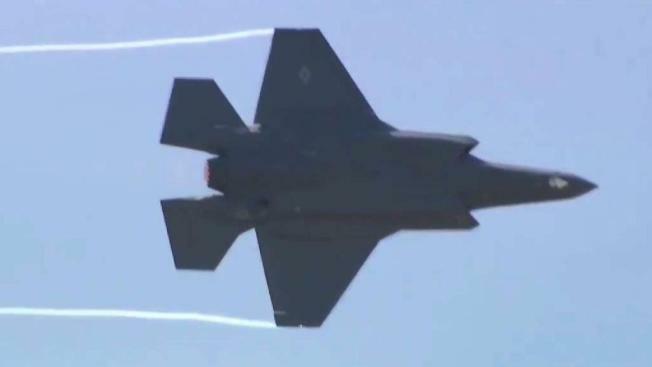 Democratic Sen. Maggie Hassan helped pass a $700 billion defense budget, which includes $10.6 billion to ramp up production of the F35, which will bring jobs to the Granite State. More jobs are headed to New Hampshire thanks to the massive $700 billion defense budget passed this week. The F35 is the most advanced fighter jet in the world and parts of it are manufactured in the Granite State by dedicated workers like Helen Milo. "I just think it's really something," Milo said. Milo is the oldest production employee at Gentex Corporation. "I'm happy about how old I am," she said with a laugh. "I'm 80, I'll be 81 on Oct. 5." For the last 30 years, she's been getting her hands dirty on the assembly line in Manchester. "I assemble and I weld, whatever they need me to do," she said. "The people in here realize how important what they do is and that's why they work so hard to make a good product." "She shows up for work every day because she knows what a difference she makes for the men and women in our military," said Sen. Maggie Hassan, who met Milo at Gentex on Thursday. Sen. Hassan helped pass the $700 billion defense budget, which includes $10.6 billion to ramp up production of the F35 — bringing more jobs to the Granite State. "At about two and a half years, we will be at full rate production, and were going to need more jobs and create more economic impact," said Bob Rubino, the F35 Program deputy director at Lockheed Martin. "We're proud of what we do," Milo said. She says never met a fighter pilot, but is honored play a part in protecting them. "What a nice feeling," Milo said. "It really is." Gentex and 1,400 suppliers across the United States will help create components for 66 aircrafts this year, 90 next year, and more than 150 by 2020.